Invuity announced on Tuesday that it will be acquired by Stryker for US$7.40 per share, which comes to US$190 million. 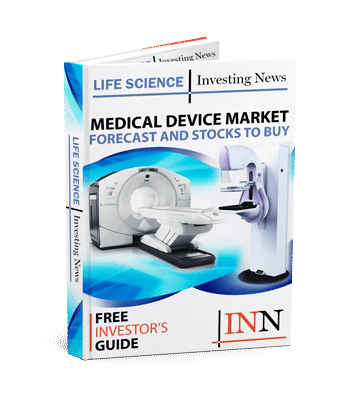 While certain medical device companies focus on building the best technology for surgical robotics, when the opportunity to acquire a new company becomes available, new possibilities for shareholders also come into play. In an all cash deal, Invuity (NASDAQ:IVTY) announced on Tuesday (September 11) it will be acquired by Stryker (NYSE:SYK) for US$7.40 per share, equalling out to US$190 million. Invuity’s share price increased 27.35 percent from its previous close of US$5.75 on Monday (September 1o) to US$7.35. In short, this means the acquisition — which is expected to close in Q4 2018 — will be profitable for shareholders. “The combination of Stryker’s established leadership in minimal access surgery paired with Invuity’s suite of enabling visualization and surgical devices should facilitate better patient outcomes and operating room efficiencies in women’s health, general surgery, electrophysiology and orthopedics, Invuity’s interim CEO, Scott Flora, said in the release. Invuity’s board of directors has recommended the acquisition to its shareholders, while the directors and executive officers have entered into and support this agreement with Stryker. After the merger is completed, Imvuity’s shares will be delisted from the NASDAQ. Invuity has multiple illuminator tools to help with hip replacement and mastectomy surgeries. The company has other surgery specific tools that will enhance Stryker’s portfolio. Unlike other surgical equipment, which makes use of tiny flash lights to help surgeons with the utmost precision during surgery, Invuity’s illuminated products have lights integrated on the products for the best view. Stryker is a global medical device and technology company known for its advancements in joint replacement, trauma surgeries and medical equipment. Currently, the company’s main market drivers are orthopaedics, neurotechnology/spine and medical surgery equipment. The acquisition agreement is still subject to customary terms, closing considerations and some regulatory approvals. As mentioned, Stryker will complete this transaction with its cash on hand. Investors interested in Stryker can follow the company about this acquisition and others through the next couple months as the transaction should close by the end of 2019.